I really liked the plot of this story. I thought the characters were well written and everything was really good, except I didn’t feel the chemistry between them. I didn’t feel the passion. I felt nothing, which is sad because it was a good story and they were good characters. I just needed a little UMPH or sizzle or something. VENONA KEYES is a modern woman who believes in doing it all; if doing it all is only in her head. She amazes people that she can be wholly unorganized yet pack a perfect carry-on suitcase for a ten-day trip to Paris. Ms. Keyes is a believer in the just-in-time theory, and can be seen sprinting to the airport gate before the plane door closes. 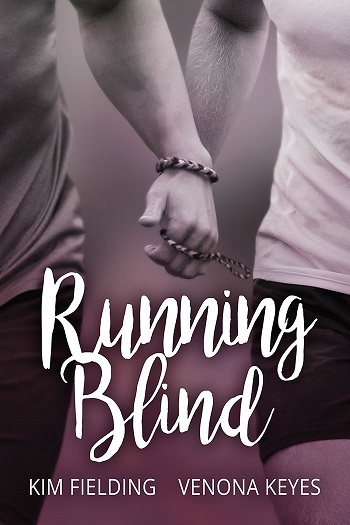 Reviewers on the Wicked Reads Review Team were provided a free copy of Running Blind by Kim Fielding & Venona Keyes to read and review.